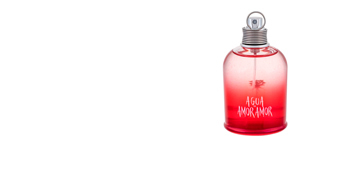 MORE THAN A FRAGRANCE... A TRUE DECLARATION OF LOVE! AMOR AMOR by Cacharel is love at first sight for the senses. An attractive zora fragrance. Container of hypnotic red , with long-stemmed rose print, a symbol representing romanticism and love. The smell of this fragrance will not leave you indifferent. The masterland composition continues to be world top sales, and one of the favourite gifts for Valentine's day and anniversary dates for couples. The secret of its success consists in a tandem of aromatic fruity output with sparkling currant notes and citrus notes of tangerine, grapefruit and orange. As if it were your first appointment, a first burst out of fresh and new sensations awaken your senses. After a few minutes, this fragrance attunes with the skin, offers a delicate floral heart of rose, jasmine, lilies of the valley and melati flower; a very romantic olfactive ride that invites to dream. The base of vanilla, amber, musk and tonka bean notes give a sensual and immersive end at the height of an authentic muse of love! 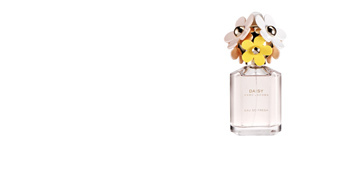 This fragrance was created by the olfaction experts Laurent Bruyere and Dominique Ropion in 2003, for the French fashion firm Cacharel , synonymous with femininity and chic style with a naive touch. TOP SALES. 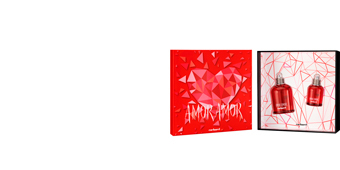 The perfect gift on Valentine's day to express your feelings of love! ROMANCE. 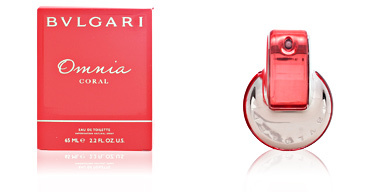 A hypnotic container that hides a feminine, sparkling and sensual fragrance. DAILY USE. “Eau de Toilette“, perfect for the use on any occasion. 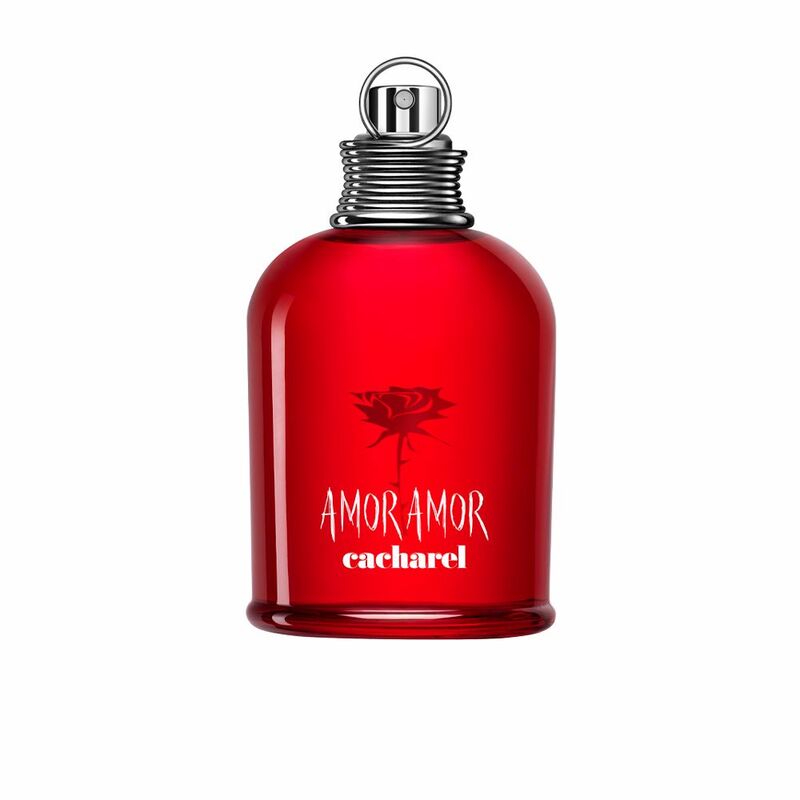 Top notes: Orange, blackcurrant, mandarin orange, cassia, grapefruit and bergamot. 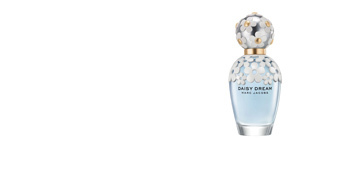 Middle notes: Lily, jasmine, lily of the valley and rose. 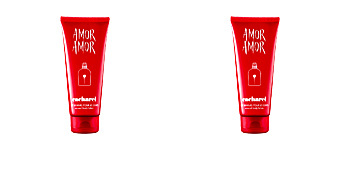 Base notes: Amber, tonka bean, vanilla, musk and virginia cedar. 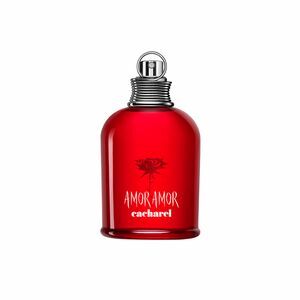 AMOR AMOR by Cacharel is a fragrance with fruity and floral notes. 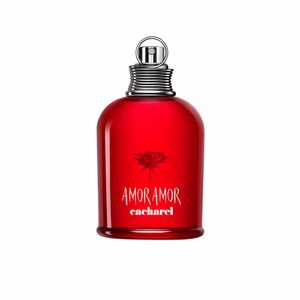 Because of its nature it is a fragrance especially designed for use in spring and summer. Perfect for daytime and nights out. 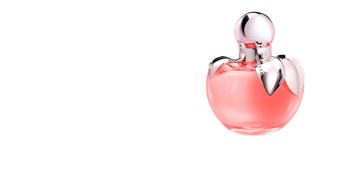 This fragrance is recommended for girls aged 16 to 35. 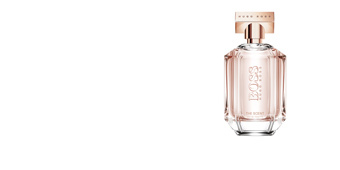 The fusion of fruity notes with musk, maintains the aroma delicately on the skin all day long. 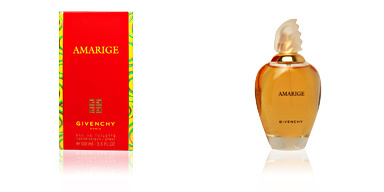 To make your scent last longer, apply your fragrance to your wrists and behind the ear lobe. These pulse zones have a higher temperature than the rest of the body, and this will help the fragrance to evaporate slower. Avoid spraying it onto your clothes as it can stain, damage and alter certain fabrics. 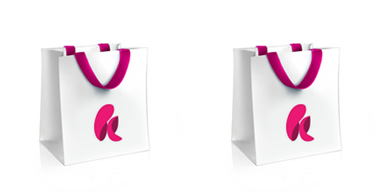 To extend the duration of the fragrance, we recommend using products from the same range such as shower gels, deodorants or body lotions. Protect your fragrance from direct sunlight and heat, otherwise it could alter the composition of the fragrance and escape.